First things first; the numbers are in: you donated $19,656 to Share Our Strength. THANK YOU! I am humbled by your generosity, and incredibly grateful for your support of this cause. You know, there's so much talk in the news these days about the need for civil discourse in politics coupled with a plea for toning down the caustic rhetoric in Washington, and I'm here to tell you -- as someone who works in the trenches -- that things in the political arena are the same as ever, and actually starting to get worse. But what you guys did? It makes me really hopeful about humanity in general, not to mention reaffirms my belief that great people do great things and THAT is what makes this world go around. Seriously, thank you. I'm honored to know you all. All the winners of the giveaways have been notified, confirmed, and their goodies are on the way. Everyone give a big round of applause (and a jealous side-eye, because I know you want to) to Tom Norwood, the winner of dinner for four at Alinea. Tom and his fiancée are taking two of their friends to dinner, and I can't wait to hear all about it. Grant Achatz and Nick Kokonas wrote a(nother) book. It's called Life, on the Line, and it's due out March 3rd. You can pre-order it on Amazon, and you can check out the website for the book, which has some great photos, interviews, and excerpts from some of the chapters. I can't wait for you to read it when it comes out. I'll be giving away a few copies here on the site in March, so stay tuned. Earlier I mentioned how not civil politics is these days. I've lived and worked in Washington for nearly a quarter-century, and this is the most contentious, testy, frustrating, and head-banging-against-desk-ing it's ever been. My clients are fantastic, and working with them is intensely rewarding. However, the climate in which we have to work is so much more challenging and vexing than it's ever been -- this applies to both sides of the aisle -- and at the end of every single day, I'm exhausted. To top it off, it's January... which is a hard food month for me. I love comfort food, but I'm tired of soup. I love root vegetables, but if I see another potato, turnip, beet, or squash, I'm going to scream. I really, really miss my January favorites pre-celiac: grilled-cheese sandwiches, macaroni and cheese, and lasagne. Yes, I can make all these things with gluten-free ingredients, but trust me: they don't and will never taste as good as the real thing. So, a week or so ago, to get myself out of this work and food funk, I gloomily and grumpily opened the Alinea cookbook to the next recipe I'd planned to do for the blog: Salsify, smoked salmon, dill, caper. Here are the components of the dish: salsify, olive oil, picholine olives, bread crumbs, parsley, lemon, smoked salmon, capers, ginger, red onion, garlic, dill, radish. There's a lot of powder making, dehydrating, emulsifying... things I already know how to do, so I knew it wouldn't be difficult to make this dish exactly as it is in the book. And yet, I couldn't do it. I wasn't feeling it. I wanted something different. Something with many of those ingredients, but not. that. dish. And to make matters worse, I've been turned off by smoked salmon lately. It's too overpowering, and I just don't enjoy the flavor of it anymore. That might change, of course, but for right now, the last thing I wanted was to eat smoked salmon. So, I opened the fridge, freezer, and pantry, and pulled out salsify, olive oil, picholine olives, gluten-free bread crumbs, parsley, lemon, capers, red onion, garlic, dill, and radishes. Then, I saw a bag of wild rice on the shelf. And leftover Vasterbotten cheese from the Noma dish I made in the cheese drawer in the fidge. And a whole chicken in the freezer. And all of a sudden, it hit me: I was going to make a casserole. I folded all the ingredients together, then gently pressed them into the casserole dish, topping them with butter-soaked gluten-free tortilla bread crumbs. Baked it in a 375F-degree oven for about 20-25 minutes. I put some fresh dill and a squeeze of lemon atop my serving before digging in. It completely and totally hit the spot, and cheered me up rather unexpectedly. I'm glad I went with chicken instead of smoked salmon, and think you could maybe even make this with canned salmon (old school!) or maybe some fresh arctic char as the protein and it would be really good. I've since taken all the leftovers and put them in single-serving containers in the freezer. That way, when I leave early in the morning for a marathon day of meetings, I can move a container of it from the freezer to the fridge to thaw, and then when I get home, warm it in the oven while I take the dog out for a quick walk when I get home. Wait. What did I just say about a dog? Some of you might remember Jake. I still miss that little guy. But last week, a new little guy found his way into my home. I adapted a recipe from one of the world's greatest restaurants and turned it into a freakin' casserole. One, that casserole looks yummy! I planned on getting a rotisserie chicken this week and turning the leftovers into chicken salad, but now I'm rethinking that idea. And two, my dog is named Dexter too! I adopted him a year ago, but his name is inspired by the Showtime show of the same name. He looks like a sweet, innocent, 12-pound shi tsu, but that sweet exterior hides an occasionally vicious interior, so we thought it was appropriate. Congratulations on your new bundle of joy! He's super cute. A casserole? GENIUS. This actually looks like something I'd make... will let you know how it turns out. So, where is Sinister, Dexter's evil twin brother? For a dog to look that cute, there must be one. The casserole sounds fantastic! Perfect winter comfort food. The dog is adorable! He reminds me of my dog Cisco (sadly, he passed in 2006 - I still miss him). What kind of dog is Dexter? Cisco was a miniature pinscher. "He's a funny little critter who thinks that 5:30 a.m. is an awesome time to wake up in the morning." Well at least he goes to sleep. Maybe he's worked out that Dexy is supposed to be a reference to Dexedrine while the "midnight runners" refers "to the energy the Dexedrine gave, enabling northern soul fans to dance all night". Just use your favorite GF pasta. I've found a few brands that are virtually indistinguishable from wheat pasta. I usually prefer the ones made with a corn and rice flour blend. I also like Tinkyata brand, but their macaroni is a little thick and heavy for casseroles. I got my grilled cheese and tomato soup back with Imagine Foods tomato soup (comes in a carton) and Udi's bread. I damn near cried when I had that the first time after I found out I was allergic to wheat. First: awesome-looking dog! Congratulations on the new family member. Congratulations on your new doggie! He's really really cute. 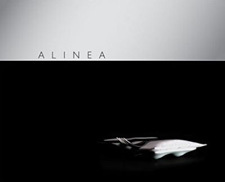 Love that you took an Alinea recipe and used it to inspire a casserole. that's freakin' awesome. hope it comforts you on the worst of days on the Hill. And thanks, for whatever you do there, because I know it can't be an easy place to be, but it's so critical. So thanks. and yes, I am jealous of Tom and his Fiance, but congratulations to them as well! Awww...Dex is adorable. And you are awesome. Wow, gotta try that casserole for dinner! Carol, I need to correct you on one thing. Your dog is not cute. He is REALLY CUTE! Being a dog owner myself I know that Dex is one super cute pup. I type this as one of my dogs is curled up at my feet. Also good to know I am not the only one who craves casseroles. I almost wanted to take a fork to my screen when I saw the finished product photo. Oh yeah and by the way, you are an amazing philanthropist! You've managed to combine your talents as a home cook, writer, and ability to put yourself out there all in the name of charity. I hope Share Our Strength knows how lucky the are to have you in their corner. Hats off to you! Maybe $20,000 next year? It broke my heart when Jake died and I've often wondered whether you would ever bring another dog into your life. I'm so very glad you have. And you're right, you have a cute dog. I am so glad there will be a dog running around your kitchen again! Put a sweater on that cute little hot dog dog and get him out in the snow tonight! Love that you rescued him. He's a lucky pup. Carol- how wonderful to see your new addition and what a handsome fellow! As soon as I retire I will get myself a dog- right now I am not home enough and it would not be fair to him (or her). "hot dishes" as we call them here. Putz (my hubbie), well his mother never made them. They were a "meat, potatoes and veggie" sort of family. My mother, on the other hand, was the queen of hot dishes. Even if it was just hamburger, stewed tomatoes and Kluskie noodles he loved every one. To this day, anything I make in that "dish" he loves! Congratulations on the your new puppy. He is so cute. DEXY!!!!! He is so cute!!! Congrats on having a newfound furry friend :) Life is better with doggies and casserole. Have fun and hopefully we will all bust out of these winter doldrums soon-ish. The recipe cracks me up. I recently cooked salsify for the first time and loved it, must try this recipe.